Become a consultant to analyze water quality, perform chemical and biological water testing, review all situations (good and bad), and give sound advice to the town council to improve water quality. Essential Question: How can chemical data, biodiversity and trophic state be used to determine overall water quality and how the quality can be improved? Amount of credit earned: 1/2 credit. This was a group ELO done over six weeks. 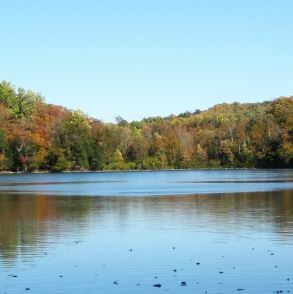 Community Partners: Local lake preservation and conservation group. Significance of changes – describe and represent the significance of changes in observable and non-observable phenomena. Static and dynamic conditions – investigate and analyze static and dynamic conditions of natural and human designed systems. Mathematical representations – use mathematical representations to support and revise explanations based on evidence. Human impact on the environment – design, evaluate, and refine a solution for reducing the impacts of human activities. Explore the problem. Participate in a demonstration of what a watershed is. Examine a map of the watershed of the trial water. Research the seven chemical parameters/thresholds for fresh water quality and test trial water for those parameters (practice). Play macromania game to understand how benthic macroinvertebrates (bugs) can indicate water quality and complete a reading on it (bioindicators). Test trial water for bugs to determine a biotic index value. Trophic states of water. Analyze the chemical and bug data and make a conclusion for the trial water (make slide show). Do a virtual drivethrough of the trial water’s watershed roads and determine possible pollutants. Field trip. Take field trip to collect chemical and bug data and begin analyzing data. Analysis and conclusion. Using a map of the tested water’s watershed, and virtually driving down the streets in the watershed, determine the probable pollutants. Determine the sources of the water quality deficits using a watershed map and make a plan to improve the quality. Explain how humans impact the environment. Did the conclusion for each site and the overall lake make sense? Did students have solid solutions or recommendations to help improve the water? Each student made a final presentation to the Big Island Pond members as to the health of the pond and recommendations for improvement. Getting permission to take samples from various locations around the fresh water would be great. We have tried this ELO with all different kinds of probes, but found them cumbersome in the field, so have gone back to Hach chemical tests for most of the testing. The Friends of Big Island Pond support our program, and pay for the bus, so if the lake/pond has an association, they might be able and willing to help with some costs.